Betsson – Summer Holiday Booster / August! Win Free Spins, cash prizes, weekend trips and cruising vehicles! We are well into the second month of this inter-galactic Betsson campaign with two weeks left to collect tickets to the next prize draw. August and September will produce each 20 big winners of cash prizes, weekend holiday trips or even a choice of cruising vehicles such as a Harley Davidson, a Mini car or a motor boat. But that’s not all as everyone earning in one week at least one ticket to the monthly draw will win guaranteed prizes every Friday. These can be Free Spins, Bonus Money or straight Cash. Summer is great! Exclusive for players from Finland, Iceland, Germany, Netherlands, Norway, Sweden or Switzerland. 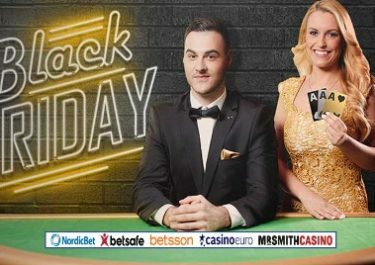 Take part in this huge summer promotion at Betsson as every month until September you get to collect tickets to one of three monthly prize draws. And you even get to pick the main prize you want to win from a selection of gadget bundles, weekend getaways and smooth vehicles. On top, they will be raffling off up to 19x €1,000 cash prizes at the end of each month. In each draw, the prizes are allocated in order the tickets are drawn. 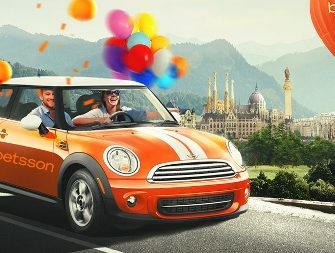 It’s a long hot summer and a long hot promotion – to keep everyone going, Bettson will give a guaranteed prize every Friday to all who earned at least 1 prize draw ticket during the previous week (Friday to Thursday). Collect one ticket to the monthly draw for every €10 deposited and wagered on any casino game. Tickets need to be earned for every monthly draw, e.g. tickets from August are not valid for the September draw. Amount of tickets per player is not limited. Where will you explore next? Collect tickets until 27th August and you could be on of 5 winners of a weekend trip for two. Draw will take place on 28th August 2017. Prizes are 5x Weekend Trip for Two and 15x €1,000 in cash. Choices for the weekend trips are Barcelona, Athens, Lisbon, Prague, Amsterdam or Budapest. Any city break will include flights for two, a 3-night stay in a hotel with breakfast, city activities and return airport transfers. If you picture yourself on a Harley Davidson, behind the wheel of a MINI or windswept on a 5-meter motor boat, then collect tickets in September until 1st October 2017. Will you be the prize draw winner to choose a stunning vehicle on 2nd October 2017? Prizes are 1x cruising vehicle and 19x €1,000 in cash. Choices for the vehicles are a Harley Davidson Iron 883, a 2017 MINI One Hatch 3-Door or an AMT 170 BRs 2017 Motor boat.